Homepage for Author Mark Carver: SUPER EPIC MASSIVE CONTEST! 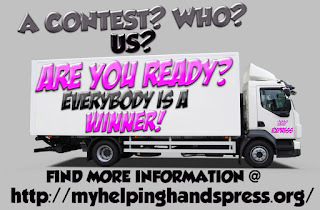 We hope that you are ready for a contest; we would like you to have fun with it. How do you participate and what are the prizes? 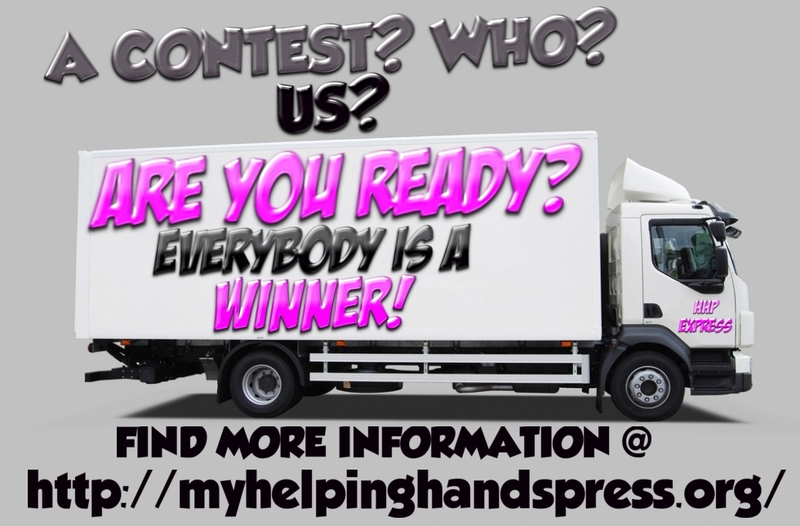 -Go to the Helping Hands Press website and sign up for our mailing list. We will start using the mailing list March 1st, and send out the newsletters each month on the 1st and 15th.Each newsletter will be filled with inside information for you on our authors, new author signings, new release dates, inside information on new series…basically you will hear of it first in this newsletter. -If you haven’t “liked” our Facebook page, please do so, we like to have as much fun here as possible. -Pinterest, if you are a member, please follow us; we will follow you too. We love to know what our friends are doing on Pinterest; it is a great place to have fun. All of this information will be listed on the Helping Hands Press Facebook Page. Please look for the Rafflecopter; we will be using that to help choose the Grand Prize winner. Prizes, did someone mention Prizes? "The Defective Amish Detective – Volume 1 – The Whoopie Pie Affair." Each of them is narrated by our own Big Daddy Abel.